Summertime is equated with eating fresh, cold, and light. Fresh vegetables, main dish salad ingredients, and in season fruits are always on hand. My meals look more like snacks in the summer. Hubby on the other hand, has to have his meat. With only two of us at home, I find it quite easy to prepare summertime meals that satisfy us both. Fire up the grill, char a piece of meat and he’s happy. In preparing for the last #SundaySuper I cooked several varieties of beans and roasted a few pounds of mini sweet peppers. These are both great salad ingredients but better still make for a tremendous hummus. What's more, hummus is something hubby and I both enjoy enormously… score! In a food processor, blend chickpeas, lemon or lime juice, and 4 Tbsp. of olive oil. Add the garlic and spices, then sesame oil and blend to a smooth paste. Add optional ingredients if using and blend. If mixture is too dry, add the remaining tablespoon of olive oil a little at a time until desired creaminess is reached. This is not my first attempt at making hummus however it IS the best hummus recipe I’ve prepared to date. 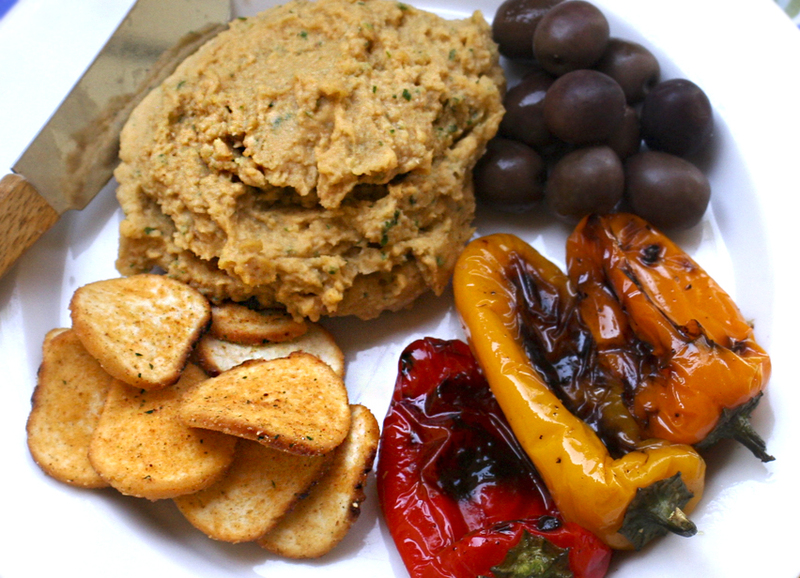 The sesame oil permeates that wonderful nutty flavor that an expensive tahini would traditionally provide the hummus. A subtle sweet smoky flavor is derived from the paprika, which is more than a hint but not overbearing. 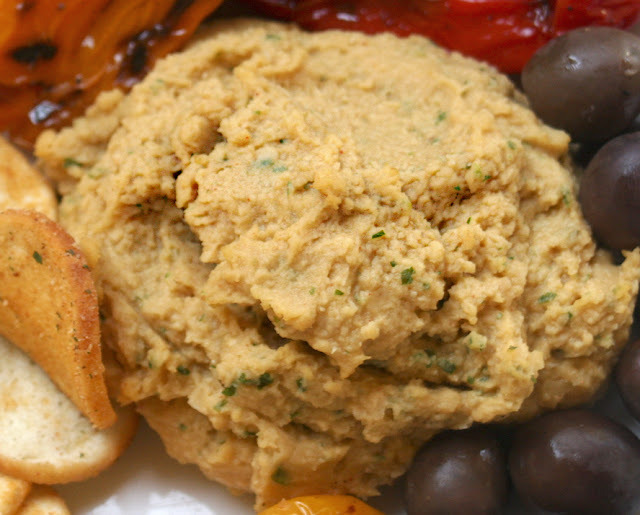 Versatile and easy, this one is now my go to hummus for sure! By the way, see those cute Pillsbury Baguette Chips, they are the bomb! I'm giving away 6 bags on my other blog. They are a fab accompaniment to hummus and make a fun topping for salads too!